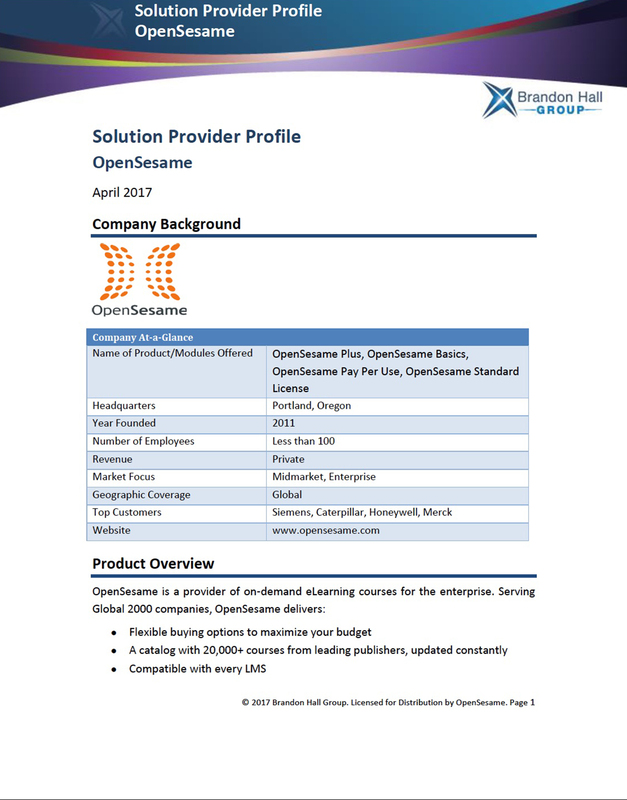 Leading organizations depend on OpenSesame to train millions of employees. An entirely new and better way – easier, more economical, with less risk – to access the best on-demand training. With thousands of business, safety, technology, and compliance courses, OpenSesame helps train organizations of any size.